Just one day after the first, apparently inaccurate, Haswell performance results another upcoming CPU release finds it way to the public. Not much information other than a validated CPU-Z dump but, well, it's something at least. Ivy Bridge-E is slated for Q3 2013 and will replace the Sandy Bridge-E. 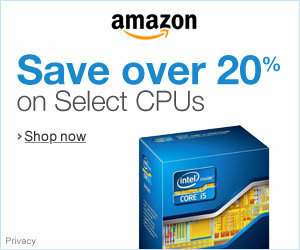 It is supposed to bring us the first Intel 8-core desktop CPU. 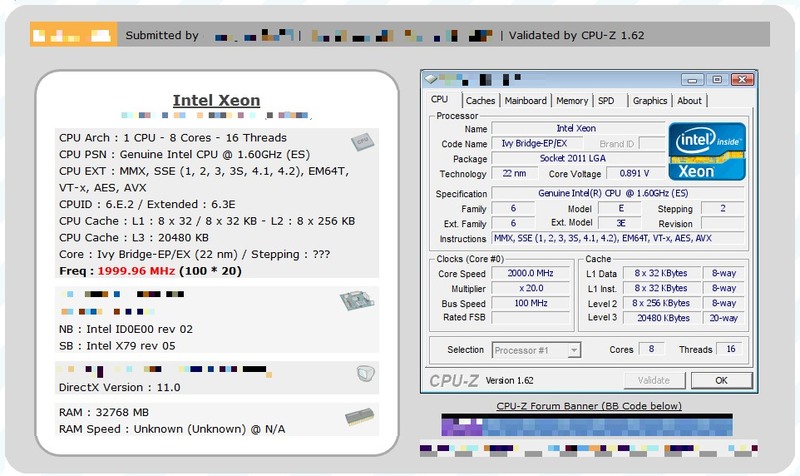 The CPU-Z validation is apparently from a 1.6GHz L1 stepping validation sample clocked at 2.00 GHz. No extreme overclocking results so far - we will probably have to wait until the mainboard departments receive their final K/X-sku samples for that.